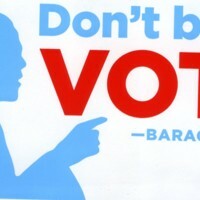 Barack Obama Campaign-inspired voter participation advocacy sticker. 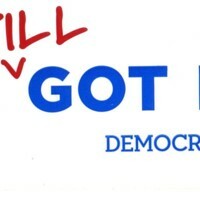 Re-election campaign sticker advocating Barack Obama in 2012. 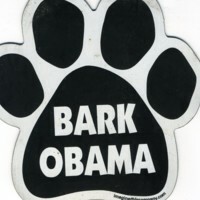 Magnet in the shape of a dog's paw, playing on the name "Barack." 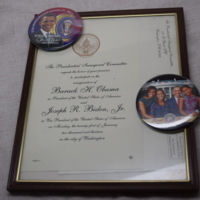 Two buttons promoting President Barack Obama’s second presidential inauguration and one framed invitation to President Barack Obama’s second presidential inauguration ceremony which took place on January 21, 2013. 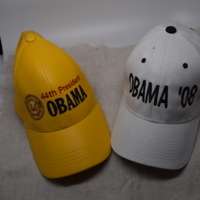 These were hats distributed during Barack Obama’s first presidential campaign in 2008. 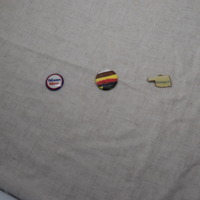 His campaign was successful and he has served two terms as President of the United States. "Nixon Now" was a campaign slogan from Richard Nixon's run for president in 1972. 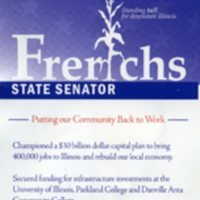 He had a campaign song with a similar chorus. 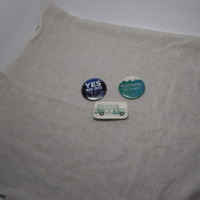 This button includes a union stamp on the back. 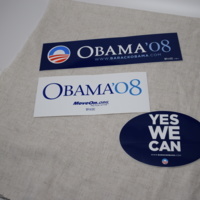 These bumper stickers are promotional materials from Barack Obama's successful run for Democratic president in 2008. 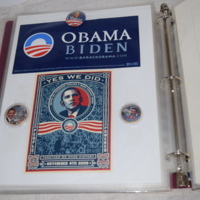 Includes his campaign slogan, "Yes We Can"